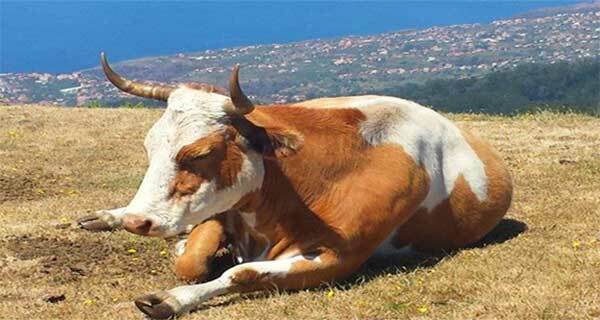 The Ponta do Pargo Tour starts with the pickup from your Funchal Cruiseship port. The first stop is a small fishing village. It is one of the island’s most atmospheric fishing villages. The village was named after monk seals which were frequent visitors to the harbour. The centre of the village, with its whitewashed houses, shops and bars where you can taste the local drink, “poncha”, remains instantly likeable. The stony beach is filled with colourful beached fishing boats .Winston Church chose this village to paint in 1949. After visiting Camara de Lobos, you drive further up to the worlds second highest sea cliff and Europe’s highest (580m) – (1775 ft).The name Cabo Girão originated from Zarco´s first exploration of Madeira’s coast. Whilst exploring the coast, He got as far as this point and did an about-turned (girão) back to Funchal. You can enjoy the magnificent views of Camara de Lobos and Funchal. At the foot of the cliff the locals made little plots, of vines and vegetables, forming an incredible landscape. Ribeira Brava is the next stop on this journey. It is located at the foot of a dramatic gorge, with an attractive seafront. Ribeira Brava translated, is wild (Brava) river (Ribeira), which refers to the river which flows to the west of the town. The mother church is a sixteenth - century church, with a wonderful stone front and pulpit carved with plants and animals. The chequered-tiled roof is one of the most beautiful in Madeira. The seafront is lined with a series of cafes, where you can enjoy coffee..
After leaving Ribeira Brava, 5 minutes later you arrive at Ponta do Sol. Ponta do sol is the sunniest spot on the island, and it gets its name from sunny point. A quiet and pretty little village shoe- horned into the folds of a steep valley overhung with dense banana plantation, with a relaxed and lively air. Leaving Ponta do Sol we climb to the plateau of Madeira. Ponta do Pargo is located on the western most tip of Madeira. Alongside the cliff-top is a lighthouse, 312mts (984 ft) above the sea. The village is named after dolphin fish, (no relation to dolphins) which is fished in that area. With its lighthouse in the far overturn extreme of the island, and a fabulous view overlooking the coast, and the narrow flat lands, it is an incredible place. The village is surrounded by fields of vines and vegetables. The tour carrys on, journey to discover other beautiful fishing villages. Prazeres is a small agricultural settlement around a church, with its massive towers appearing far too large for the place. The region around Prazeres still has many old one room houses built from dark basalt with unplasted walls..
An unexceptional little fishing village, worth the visit, for its spectacular position beneath towering cliffs. Until the access road was built, in 1960`s the village could only be reached by sea. Paul do Mar itself is an anticlimax. 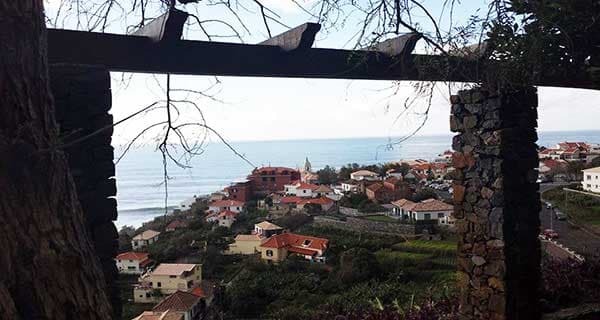 There are some interesting backstreets round the church, at its eastern end with the beach, is obscured by its sheer cliffs.Occasionally hosts a surf competition..
Calheta a pretty village set in a steep valley just above the coast. The main town of the south western coast of Madeira, a fertile sunbathed region .The town of Calheta was built in an inlet by the mouth of the stream due to the permanent sun, the recent artificial sand beach and marine make it a town for leisure.. Heading home you will drive through Madalena do Mar. This beautiful village on the south-western coast is spread out along a stony beach with banana fields all the way to the top of the cliffs. An attractive restored church but unfortunately it is rarely open. This road then leads on to a round-about with a fountain above the village of Ponta do Sol..
- You will receive a confirmation letter with itinerary. - Print the confirmation letter and bring it with you.